Bel Power Solutions SPSPFE3-07 Power Shelf, available now from Mouser, provides rectification, system management, and power distribution with high-reliability and flexibility for the future expansion. 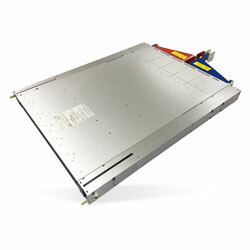 This power shelf is configured with up to six hot-swap capable PFE3000-12-069RA AC/DC-DC power supplies that convert high-voltage DC bus power into a 12VDC main output. This configuration assists in powering IBA in high-performance and reliable servers, routers, and network switches. The power shelf provides two separate DC inputs, one DC inlet power, and three power modules. This module supports I2C communication interface for control, programming, and monitoring with PMBus protocol. Typical applications include high-performance servers, routers, and switches.